EA Sports released the newest features and changes coming to Madden Ultimate Team when Madden NFL 19 is released later this summer. As always, the team at SGO has you covered on all the latest news and notes from around the world of Madden NFL 19. The Madden development team revealed ways the game mode will be more user friendly plus the many new ways to play the MUT game mode. Aspects of MUT such as player upgrades, adding items to sets and improving team chemistry are only a few of the areas of the incredibly popular game mode that have been improved. The Madden NFL 19 development team wanted to “streamline” the way users interacted with the game mode. You can see from this example that users will be able to take a base version of a player, here it’s Aaron Rodgers, and upgrade that player from tier to tier using a combination of Training points plus the 86 OVR Core Elite version of Aaron Rodgers. This should make the process of upgrading your players much smoother and easier to understand. This is in stark contrast to the older versions of MUT where users would have to possess a thorough understanding of which versions of which items needed to be added to sets, where to find those sets plus any other extra requirements needed to complete the set such as team tokens (gold and silver). Now, the mode should be much more user friendly, but it will also contain more options for you to create the Ultimate Team you desire. 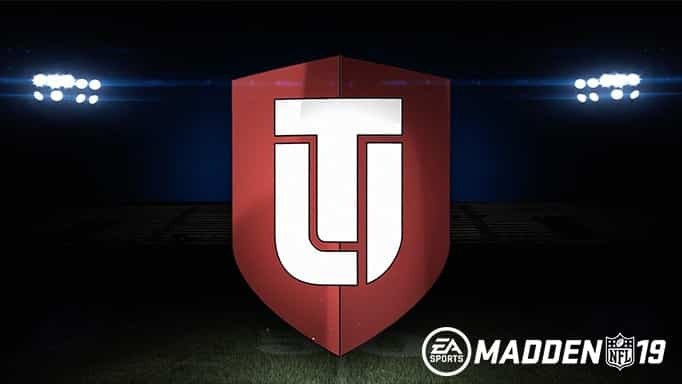 Also new to this season’s MUT will be the ability to unlock new Chemistry Slots for your players when you upgrade them. Players will still come with their base Team Chemistry, but you can change their chemistry characteristic. 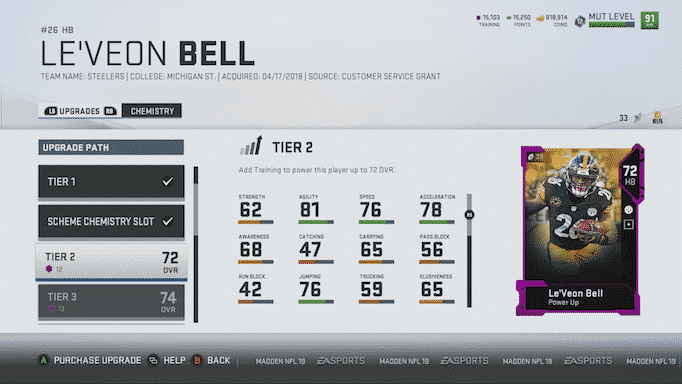 For example, the Tier 1 upgrade will also unlock a Chemistry Slot that you can use to assign the type of chemistry you want for that player such as Go Deep or Move The Sticks. This season, you will have the option of assigning that to your MUT team’s players. Another new aspect to this year’s MUT is the addition of Solo Battles. This seems like it will be an incredibly popular new way to play the game mode as it will allow users to basically post their best score and compare it against the rest of the online community. Similar to the way you’d play an online tournament in a golf game. In a Solo Battle you will play a full game against a CPU opponent on 3 minute quarters. image taken from the EA Sports Madden blog site. The goal of Solo Battles will be to post the best score possible against that particular opponent compared to the rest of the MUT community. Users will only get one opportunity to post the best possible Battle Score for that particular game or opponent. There will only be 13 games available each week. They will be released in sets of four games at a time, meaning that four games will open to the community on Monday with four more on Wednesday and four more on Friday with an extra game in there somewhere. 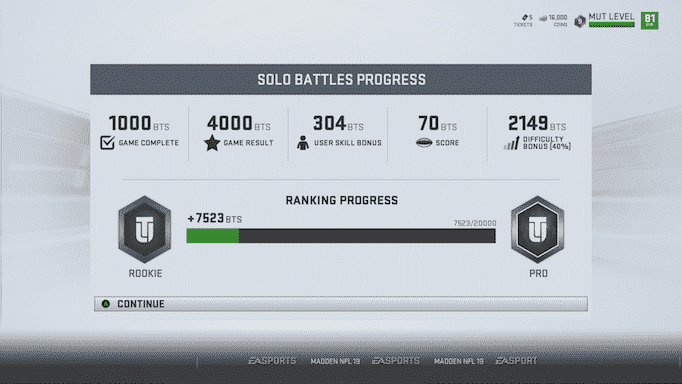 Solo Battles will help contribute to a weekend league as well. The weekend league will require qualifiers throughout the week, similar to the way users can qualify for weekend league in Madden 18 by playing and winning qualifying matches. The new Solo Battles game mode also offers one very enticing feature. The teams chosen for the week’s opponents will be made up of the actual players from another user’s Ultimate Team from around the MUT community. Essentially, you could play your own MUT team given the team at EA decides to pull it from the Ultimate Team database. The teams will still be controlled by the CPU, but comprised of another users actual Ultimate Team. This promises to make the game mode that much more fun to play this August. We can’t talk about Madden Ultimate Team without discussing any new changes to last year’s newest mode, MUT Squads. Squads allows you to team up with two other players to take on another team of three users. It was a highly popular game mode in this past title, and there have been some improvements made for Madden NFL 19. Squads Challenges is basically the same as solo challenges but in Squads game mode. As opposed to playing three other users in a highly competitive match up, you can now just play a more recreational version of the game mode against the CPU. A series of challenges will unlock throughout the course of the season and there will be an incentive for completing all of the challenges that unlock as the season progresses. All across the Madden community, every year we say this will be the best Madden title ever. It sure seems like this will be the best version of MUT ever, but it remains to be seen if this year’s Madden ends up being the best edition ever. There are a few extra details that will go into every area of this year’s game and that will also have quite an effect on playing MUT. There will now be extra slots on both offense and defense in MUT. Instead of having five punt and kick return slots, for example, the developers have decided to remove some of those in favor of adding additional slots that count toward chemistry on both offense and defense. These spots are included throughout all of the Madden 19 game modes, but they will have an effect in Ultimate Team since they will count toward your team’s chemistry. That has the potential to play a big role in how users set up their teams and build their rosters on both sides of the ball. The inclusion of this will make it far more easy to sub your players in and out of different formations. Simply assign a player as a Slot Cornerback, and they will always play the slot receiver without you having to put them in that position. They will automatically be inserted into that spot when you choose a formation with a slot corner. Clearly, this edition of Madden Ultimate Team is shaping up to be an exciting and very user friendly game mode. Remember to check back regularly with SGO for all the latest news and notes from around the world of Madden NFL 19.